Micromax has announced two new laptop series called the Ignite and the Alpha. The Ignite LPQ61408W will be exclusively available on Flipkart from today at Rs. 18,990, while specifications and availability of the Micromax Alpha will be revealed at a later date. The device features a 14-inch HD display and is powered by an Intel Pentium N3700 processor with 4GB of LPDDR3 RAM. It offers 1TB of storage and sports a 4500mAh battery. The device features two USB ports, one HDMI port, and one ethernet port and comes with Windows 10 already installed. Shubhajit Sen, Chief Marketing Officer for Micromax stated, “The decision to foray into newer categories is solely basis the understanding of consumer demand and need and matching it with our strong credentials in the Indian market. 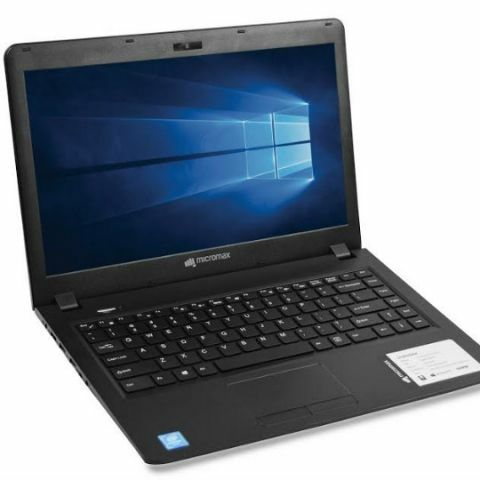 While the laptop category is not growing very rapidly today, we believe the key barrier is to give a high performance, well designed product at an accessible price. We have always strived to close the gap between consumer needs and available devices by bringing alive the best technology innovations and we believe we have done it with Ignite.” Micromax already has a range of entry-level laptops called Lapbooks along with a range of 2-in-1 devices called LapTabs. How is muveacoustics ignite headphones?